There are companies I dislike, companies I disagree with, even companies that have occasionally angered me with disappointing gadgets that under-deliver. But to date there's only one company that I hold a genuine, deep-rooted grudge against. It's the reason I don't have copies of most of the work I did in uni, and I will never forgive. In the late 90s, I studied Radio and Television Arts (a fancy term for broadcasting), at a time when floppy disks were still the most common way to transfer data between computers. Their paltry 1.44MB capacity was more than enough to store essays or the occasional photo, but useless for moving big multimedia files like audio clips, videos, or massive Photoshop creations. Today you can squeeze half-a-terabyte of data onto a memory card the size of a fingernail, but 20 years ago that much storage was inconceivable. Just as my storage needs were ballooning, an alternative to floppies quickly gained traction. 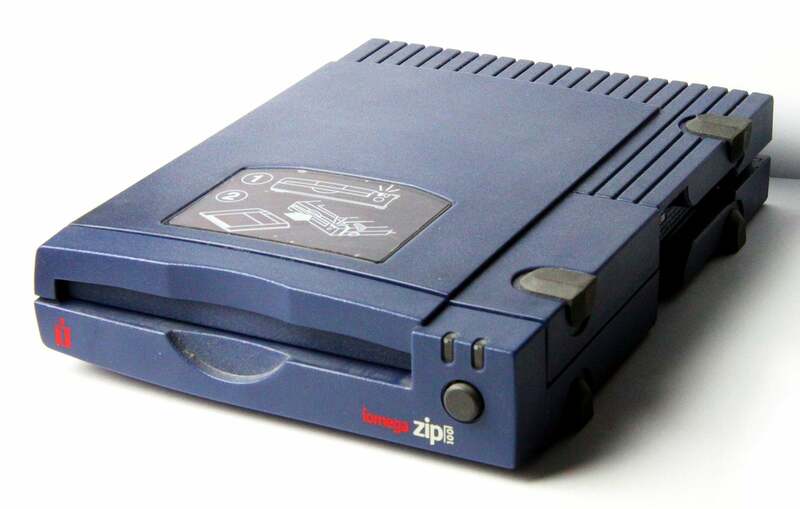 In 1994, a company called Iomega introduced a product called the Zip drive that could store a whopping 100MB on swappable disks. The drive sold for a reasonable $US200 ($277), with the disks themselves going for about $US20 ($28) each. There weren't a lot of expensive textbooks to buy for my program, so the Zip drive was an easy decision. Even with transfer rates limited to an agonising 1.4 megabytes per second thanks to a now ancient parallel port computer connection, the Zip drive and disks were an integral part of my uni workflow, allowing me to move projects between my home computer to the labs at my school. I even bought the official Iomega padded carrying case, since I had to haul the external drive with me everywhere I went, but it was a minor inconvenience because the technology finally gave me a cheap way to back up all of my work without maxing out my desktop computer's 1.6GB hard drive. The honeymoon came to an abrupt end one night when I popped in a disk to finish up edits on some audio files. Not having to rely on my school's computer labs made project deadlines easier to manage, but instead of the drive quietly whirring to life so I could get to work, there was a confusing repetitive clicking sound. Assuming something was wrong with that disk I tried another, and then another, but the drive wasn't able to read any of the disks from the stack on my desk. We had the internet while I was in uni (I'm not that old), but it wasn't as robust as it is today, and it wasn't necessarily the first place you'd turn with a tech problem. Instead I called Iomega's tech support, which informed me it was a known problem and that the drive would need to be replaced. That was upsetting, as losing the drive for a while was a pain, but no where near as upsetting as what I would discover later. The clicking sound I heard that night, now known as the infamous "Iomega click of death," was actually the drive repeatedly resetting the position of its read-write head in an attempt to properly load data from the disk. But it couldn't. There are a few theories as to what caused this malfunction, and from my research there were actually several ways the drives could fail, but they're all related to Iomega cutting corners in an attempt to make the hardware as affordable as possible. As a result, the drive's guts were far from durable, and even a slight bump could damage delicate mechanisms that kept its read-write heads in alignment. 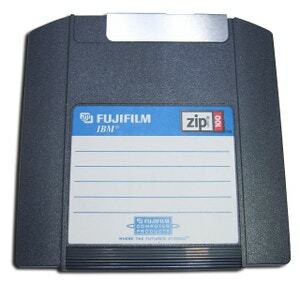 When they weren't, they not only couldn't read Zip disks, they also permanently destroyed them. I didn't realise the full extent of the problem until my replacement Zip drive arrived and I tried to access the data on all my Zip disks again. New disks worked just fine, but all the disks I had inserted in an attempt to troubleshoot the problem that night had been destroyed. All the essays, photos, sound effects, graphics, PowerPoint presentations, Photoshop files, and even MP3s were gone. And all so a company could squeeze a few more dollars of profit from one of their products. I later learned that in 1998 a class action lawsuit was brought against Iomega, but by the time I was done uni in 2000, USB flash drives and rewritable CDs had long replaced the need for 100MB floppy disks. By 2003 the entire Zip line was discontinued, and today Iomega exists as LenovoEMC, a joint venture that still produces external storage products. Thankfully, I never missed any deadlines because of all that lost data, but it did result in quite a few late nights at a computer lab redoing work that was already done. And instead of being able to look back at my portfolio of work from uni (which was undoubtedly laughably bad) my most pervasive memory is a grudge against a company and its defective product. No wonder I became a gadget reviewer.